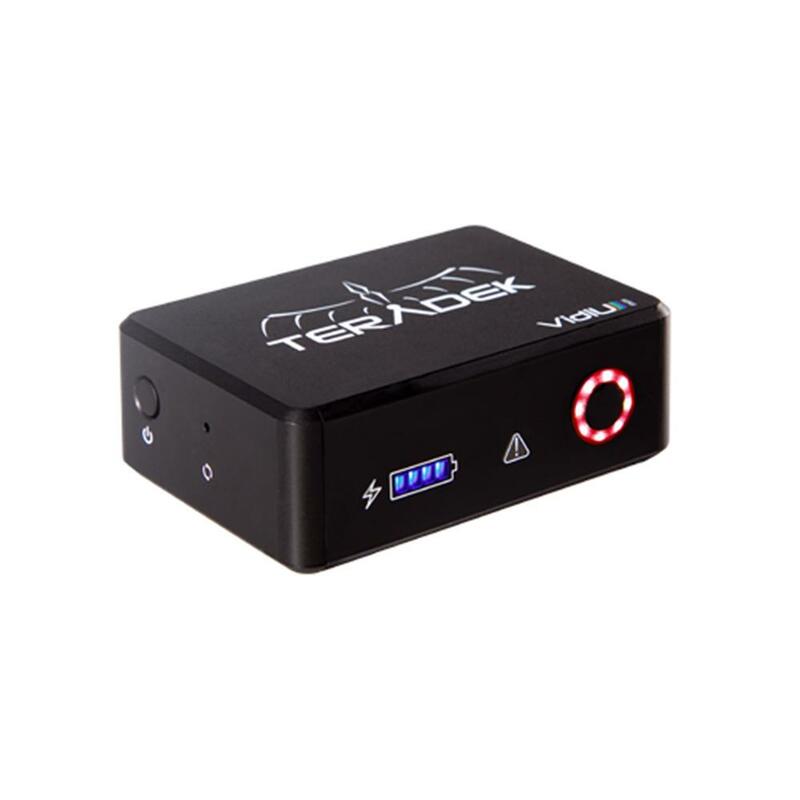 The Teradek VidiU gives you the freedom to broadcast live high definition video directly to the Web without a PC. Whether you're streaming out of a video switcher or wirelessly from your camera, VidiU allows you to go live when you want, where you want. VidiU is integrated with the Ustream, YouTube Live and new Livestream platforms, which makes streaming to your channel as easy as logging into your account. Choose the CDN that is right for you. VidiU allows you to stream your live video content to a Wowza server or the platform of your choice at any time. VidiU streams over dual band Wi-Fi, Ethernet, or via a single 3G/4G USB modem. For events that require you to be completely wireless, VidiU's rechargeable Li-Ion battery lets you roam cable-free for up to 60 minutes. VidiU offers a free application for iOS and Android that allows you to monitor your live broadcast in real time. Since VidiU acts as its own dual band Access Point, you can choose to connect your tablet* directly to the device or to your local network. Connect your HDMI video source to VidiU and stream at resolutions up to 1080p (1080i, 720p, and SD 480p also supported). VidiU encodes video in real-time using H.264 compression and AAC audio at up to 5Mbps. Embedded HDMI audio, headphone output, and a mic/line input are supported.